This entry was posted in Beatles, Beatles Collecting, Beatles Music, George Harrison and tagged Beatles, Beatles Collecting, Beatles Related, George Harrison, Living in the Material World, Martin Scorsese, Music by beatlesblogger. Bookmark the permalink. 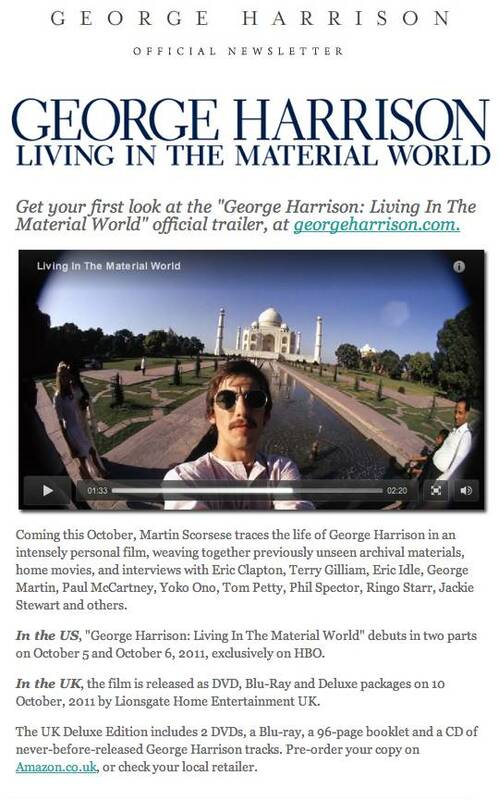 Hi Rimshot, yep – I reckon it is gong to be a very special film about George.